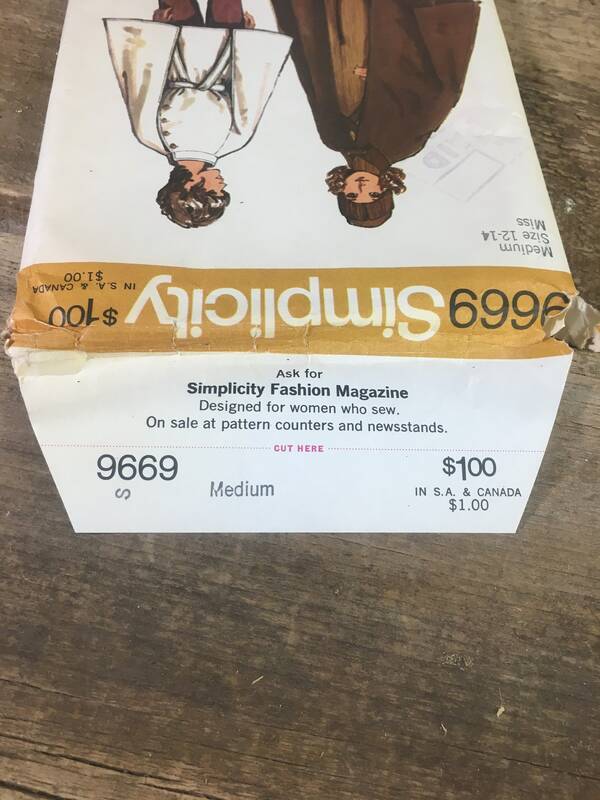 Vintage uncut sewing pattern from Simplicity. 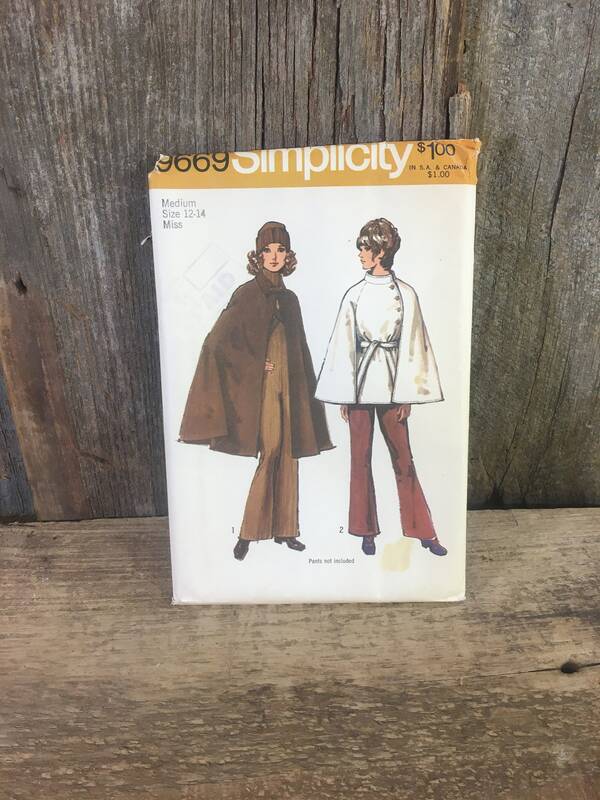 Uncut Simplicity cape pattern from 1971. 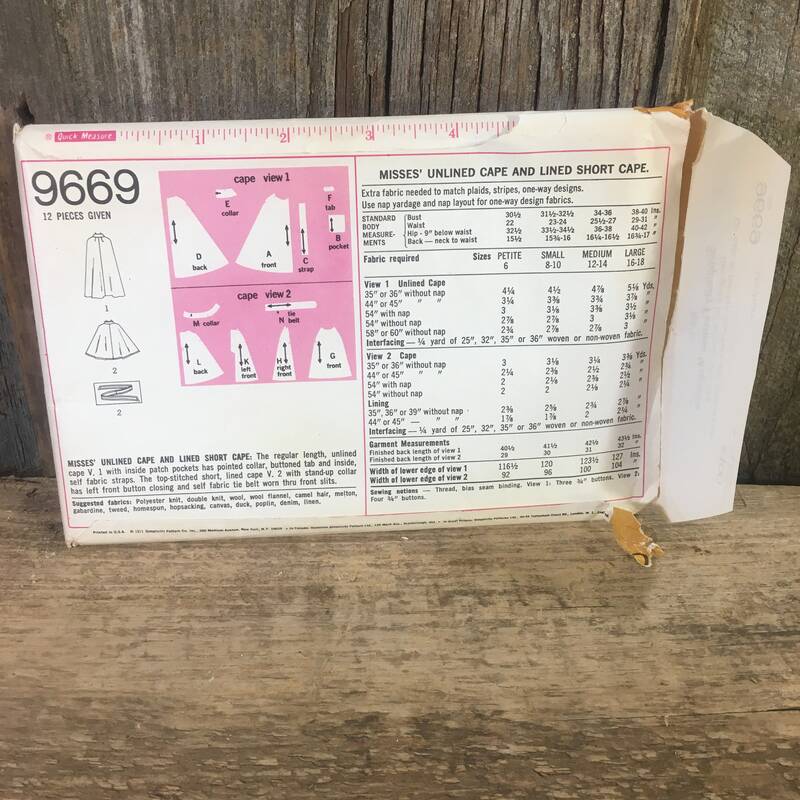 Simplicity pattern 9669. 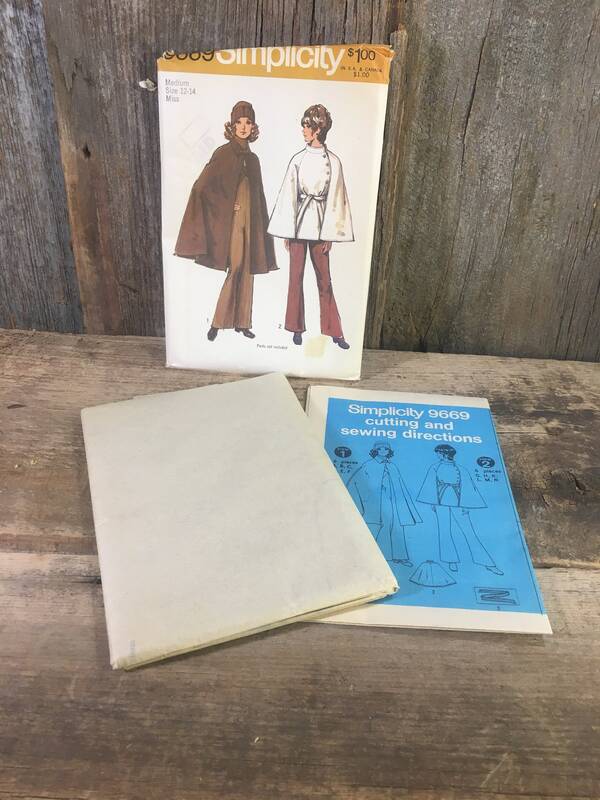 Super sewing pattern for misses unlined cape and lined short cape with inside patch pockets. Size medium, uncut with instructions in slightly torn envelope. Please remember everything on Nothing’s New Here has been previously owned and/or up-cycled into something else. So, in saying that no item is perfect but that makes it more beautiful! These treasures are vintage and contain happy memories of wear and use.